GIJÓN, Spain, May 26 (Tierramérica).- Climate change is altering the world’s oceans in so many ways scientists cannot keep pace, and as a result there is no comprehensive vision of its present and future impacts, say experts. Rising sea levels, changes in hurricane intensity and seasonality, declines in fisheries and corals are among the many effects attributed to climate change. In an attempt to put some order to their disconcerting findings, more than 450 scientists from some 60 countries gathered in the northern Spanish city of Gijón for the symposium “Effects of Climate Change on the World’s Oceans” May 19-23. Change is evident where ever marine scientists look. Sea level rise and warmer ocean temperatures are the most obvious, but other changes include a decline in the oceans’ productivity, which means many areas are unable to support as many fish as they once did, according to Luis Valdés, a world expert on plankton and one of the symposium organizers. Species are moving into new regions in response to warming waters in their original habitats, says Valdés, of the Spanish Oceanographic Institute. “Off the coast here, in the Bay of Biscay, we are now seeing tropical species we’ve never seen before,” he told Tierramérica. Such alterations of marine ecosystems have unknown consequences and increase the need and urgency for monitoring and observations of what is happening in the oceans. Ocean science lags far behind research on the atmosphere, mainly due to lack of funding. There are few sets of measurements about conditions in the oceans that extend back more than 20 years, and most information is from a very small proportion of the oceans, said Valdés. “Will we be catching less sardines and anchovies in the near future? I don’t know because we don’t have the information, but it seems probable,” stated the expert. Valdés said he hoped the symposium would encourage policy makers to fund permanent ocean observation and monitoring systems so that scientists can detect changes and make informed recommendations. “The European Commission has called this the most important meeting in Europe this year,” he said. Some changes in the oceans are easier to detect, such as the consistent rise in sea surface temperatures in the Caribbean Sea. Nearly every month for the past 20 years researchers in the Department of Marine Sciences at the University of Puerto Rico (UPR) have measured the average temperatures and salinity of the Caribbean’s surface waters. Over this period they have detected a strong upward trend, despite variability due to the seasons and impacts of El Niño climate events, according to UPR scientist Jorge Corredor, who presented these findings at the Symposium. At the current rate of increase, the average year-round temperature will be more than 27.4 Celsius, which is the threshold for hurricane formation. This means hurricanes could form at any time of the year in three or four decades if the warming trend continues. “There will no longer be a hurricane season”, Corredor told Tierramérica. Corredor cautions that warmer water is just one factor in hurricane formation and that other published research suggests climate change will not increase the total number of hurricanes in the region. However, the number of very powerful storms is likely to increase. 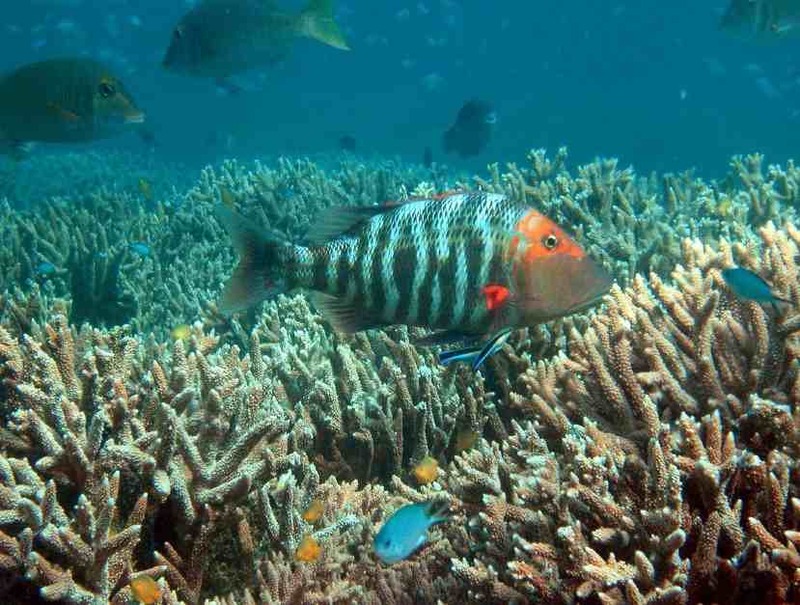 Warm water also poses a significant risk to corals, and the UPR research shows that summer season water temperatures will likely to be too warm for corals in future. A new concern is ocean acidification of the oceans. Detected less than four years ago it is a process in which carbon dioxide emissions from the burning of fossil fuels is turning the surface waters more acidic. This is starting to affect shell-forming species, including coral and plankton. Acidification has the potential in just a few decades to not only turn coral into rubble but also undermine the entire marine food chain. Much more research is needed to identify and determine the effects, Valdés said. Newer still are the findings that the Southern Ocean is absorbing less carbon dioxide, the principal greenhouse-effect gas, from the atmosphere. Only a year ago Corinne Le Quere, of Britain’s University of East Anglia, reported that the Southern Ocean is taking up less CO2 and appears to be reaching its saturation point. Oceans absorb half of all human-created carbon emissions and trap them in the ocean depths. Le Quere’s findings sparked much debate. She told the Symposium she has additional evidence that clearly shows less CO2 is being absorbed. What’s more, there is some proof this is happening in other parts of the oceans. “It appears to be a global weakening of the oceans as a carbon sink,” she said.